We are very confident in our abilities to properly diagnose and repair any clogged drain cleaning issue in San Carlos Park. Beware companies charging hourly for this type of service. 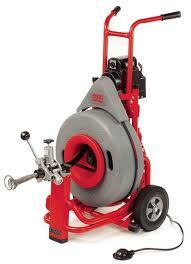 A technician lacking experience or the proper equipment can spend several hours trying to clear a clogged drain. Having the right tool for the job can make the difference. We have professional grade Ridgid sewer equipment and the knowledge to quickly diagnose a slow or clogged drain cleaning issue fast. We offer color sewer camera inspections, digital line locators, hydro jetting, and several different sized sewer cable machines designed to clean each of the different sized lines in your San Carlos Park home. Experiencing a sewer or drain back up in San Carlos Park can be frustrating. Most of us take the sewer lines in our home for granted. Very few of us perform regular maintenance to keep these sewer and drains flowing. Over time, our sewer and drain lines may slow as they become clogged with the foods and products we send down them daily. Take a look around your San Carlos Park home and remember the location of sewer and drain clean out caps. These caps are often buried by landscapers or covered by years of paint. Knowing the location of these caps can save you money when it comes time to service the sewer. Also, explain to your technician any odd noises or odd things you may have seen prior to the back up. Some of these noises give us clues as to the location of the clog. For example, A toilet that bubbles up air when a lav or kitchen faucet is run tells us the clog is much further away than the toilet. As the water fills your clogged pipes, the air is forced out making this noise. 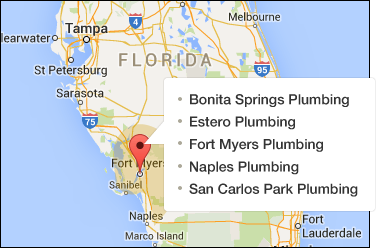 If a sewer line is broken, we have the ability to locate the exact spot for plumbing repair. This minimizes damage to your home or lawn. We are also able to clean downspout drains and pool deck drains. 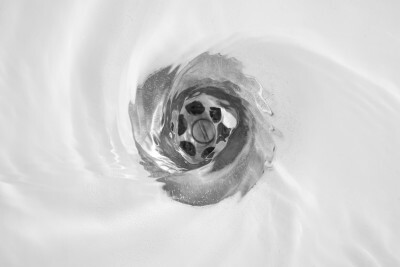 You can trust the Moen Brothers to be your emergency drain cleaner to properly diagnose and clear any clogged drain cleaning issue 24 hours a day. We put drain at the end of our name to let our potential customers know our trucks come fully equipped to handle any San Carlos Park sewer and drain cleaning issue. Below is some information to help you understand what may have caused your sewer issue or clogged drain in San Carlos Park, Florida.